An extra lock fitting that places the lock handle farther from the edge of the door. 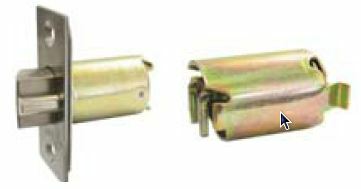 These locks have been around for a long time and for many years we simply referred to them as being Schlage Locks. That being the name of the manufacturer that first introduced them. (At least to Australia). Entrance Doors. For doors with a lock on one side and a snib or turn button on the other side. 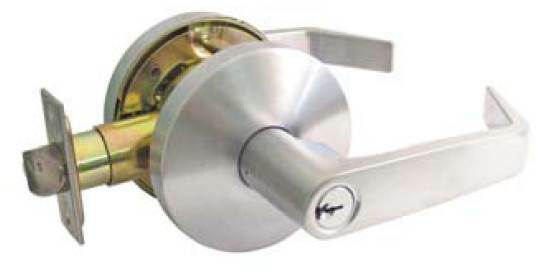 Also used anywhere a keyed lock in needed, bedrooms, storerooms and even cupboads. It is not possible to lock oneself in a room, simply using the lever or the knob unlocks the door. This makes them all safe in respect of fire. Privacy Sets. These are used on doors to bathrooms and toilets. They do not have a key to gain entry, but they have a safety function in that instead of a key cylinder on the outside they have a simple slotted button. This means that in the event of an emergency (someone collapsing inside) a coin or similar can be used to open the door. Corridor Sets. These have no lock or button and they just perform as a door latch which can be opened from any side at any time. The two examples above show locks that have what is known as concealed fixing. That means that on the inside of the door the lock rose is a clip on fitting that covers the fixing screws. 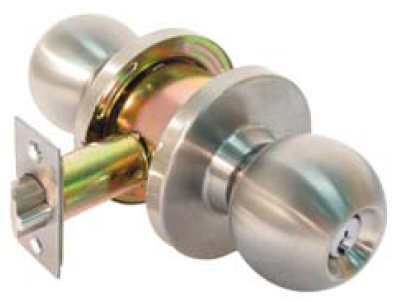 The standard backset for this type of lock is usually 60mm and another longer latchbolt is made for 70mm backset, but if you want to set the handle farther away from the door edge then it is easy to do by using a Backset Extension as seen above.